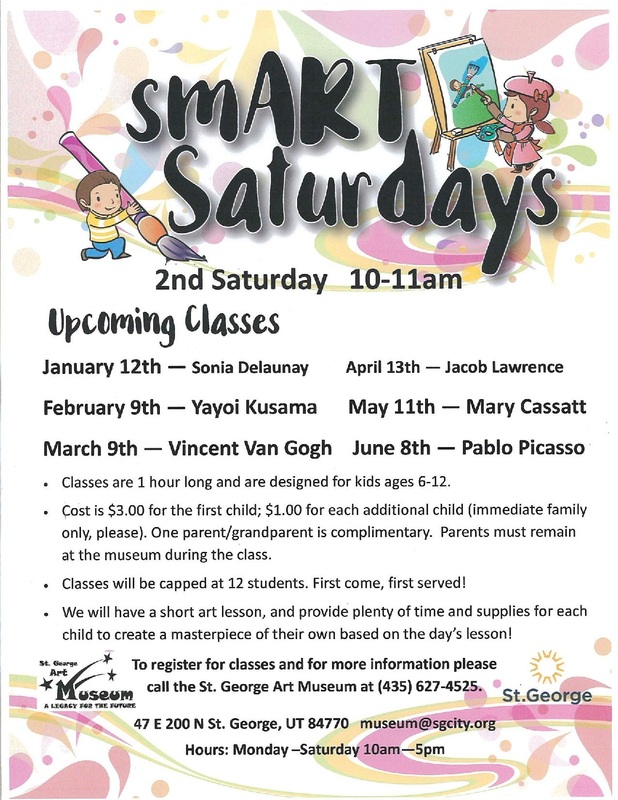 smART Saturday - Art Classes for KIDS! All smART Saturday programs run from 10:00-11:00 am. The program is designed for children ages 6-12 years old and include an art lesson and related project.